Every week we get Down & Dirty, in which Nozlee Samadzadeh breaks down our favorite seasonal fruits, vegetables, and more by the numbers. 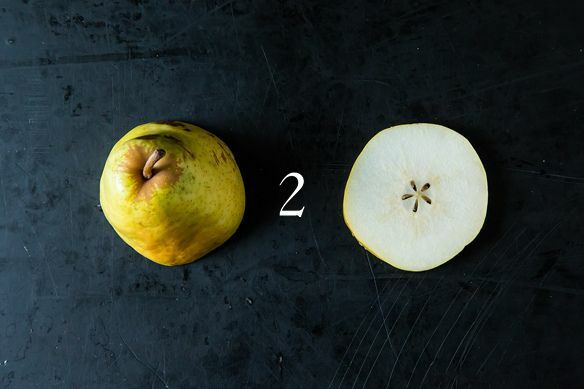 Pears are so distinct that the only word we have to describe their shape is "pyriform," which means, literally, "pear-shaped"! They've been cultivated for millennia -- there were pear tree groves in China 3000 years ago -- and there are thousands of varieties, many of them decorative or inedible. In the US, you'll find about 10 common varieties, among them Comice, Anjou, Bartlett, Seckel, and Bosc. 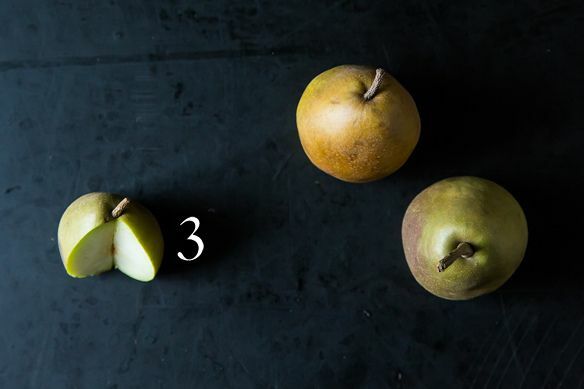 Unlike apples, which don't ripen after picking, or strawberries, which change in color but not in taste, pears ripen from the inside out even after harvest. 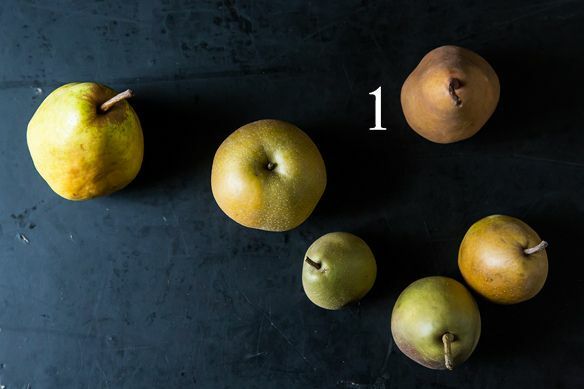 When buying them at market, gently press the neck of each pear and choose the ones that are just barely tender. Pears ripen from the inside out, so the skinnier neck will become soft before the bulbous bottom. Because they ripen after picking, pears are harvested early as a kind of season extension strategy: in many orchards, a portion of the harvest is picked at full size but still rock-hard. These pears will continue to ripen slowly, and will outlast the pears picked from the tree when fully ripe! And finally, an interesting scientific note: ever noticed how the texture of a pear differs from other similar fruit? Their flesh contains sclereids, a type of cell with thickened walls that causes that gritty, grainy texture. 2. 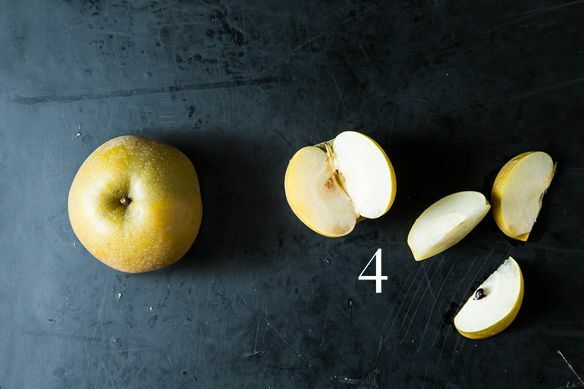 Bartlett Pears: Green-yellow with an optional red blush, the Barlett is also called the "Williams pear." They're the most aromatic pear variety, and the most common source for pear juice and canned pears. 3. Asian Pears: Crunchy, water-filled, and thirst-quenching, asian pears (also called nashi pears) are a totally different from the pears you're used to. They can have brown or greenish-yellow skin, they bruise easily, and because of their high water content, they're best eaten raw. (Unlike other varieties, they must be harvested when fully ripe.) They're also one of the only non-pyriform pears, which makes you wonder about the accuracy of that term! 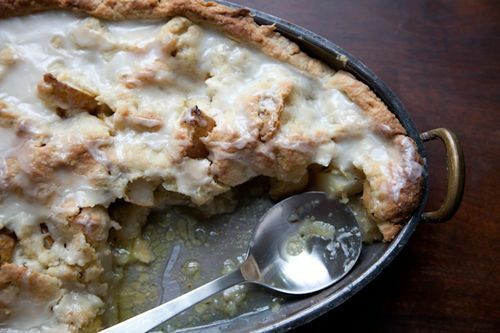 Try swapping pears in the next time you make apple cake, sauce, or butter for a delicious new variation. 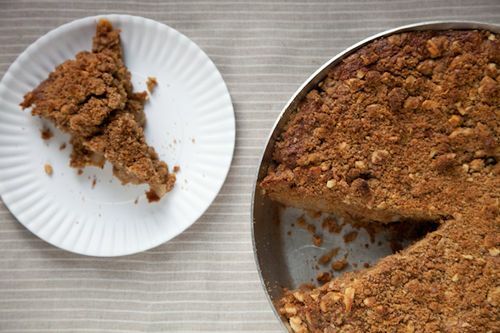 How do you cook with pears? I'm Nozlee Samadzadeh, a writer, editor, farmer, developer, and passionate home cook. Growing up Iranian in Oklahoma, working on a small-scale organic farm, and cooking on a budget all influence the way I cook -- herbed rice dishes, chicken fried steak, heirloom tomato salad, and simple poached eggs all make appearances on my bright blue kitchen table. I love to eat kimchi (homemade!) straight from the jar and I eat cake for breakfast. My all tine favorite pears for flavor (and for tarts) are Comice pears. SO incredibly sweet (in their own sweet way). I got lazy this fall dealing with two (a pair?) of pear trees, and just stuck a couple in the juicer every morning! Loved the post, thank you Nozlee! I sometimes see these yellow (with a red blush) pears in the Indian grocery, they're referred to as Farelly pears, are they similar to the seckel pears? For pear lovers out there, lok for Taylor's Gold, usually available in the Spring. They're from New Zealand, so not exactly a "green" choice, but they are an order of magnitude better tasting than any other pear I've tried. Thank you, now I want to bake something with pears. Hey! where is my favorite pear? D'Anjou not mentioned? The Asian pear is also known as the Bachelor's Fruit because on examination of many single men's refrigerators, there is a whole lot of space and one Asian pear.